On May 11th 2013, the group performed in Woodstock church at a concert of poetry readings and sacred music in aid of the Community Emergency Foodbank (CEF). More details of this charity can be found at their website. The repertoire was loosely based on a theme of hunger and justice, and centred around William Byrd’s wonderful setting of the Mass for four voices. Other works were selected from the English language repertoire of Tudor England. The concert raised over £1,000 for this worthwhile cause. The next Gradualia event will be a performance of sacred music from Tudor England, on the theme of “Hunger and Justice”. The music will be interspersed by poetry readings on this theme. Date & time: Saturday 11th May 2013 at 1830. The programme will include William Byrd’s stunning setting of the Mass for four voices, and other contemporaneous works. Poetry will be read by Tom Benyon OBE amongst others. The evening is free admission, with a retiring collection in aid of the Community Emergency Foodbank (CEF). Lord Ian Blair (former commissioner of the Metropolitan Police) will also be in attendance and speaking briefly on the CEF appeal. The event will be finished by 2000, and there will be refreshments afterwards in the church. Please join us in supporting this important charity in our local area. 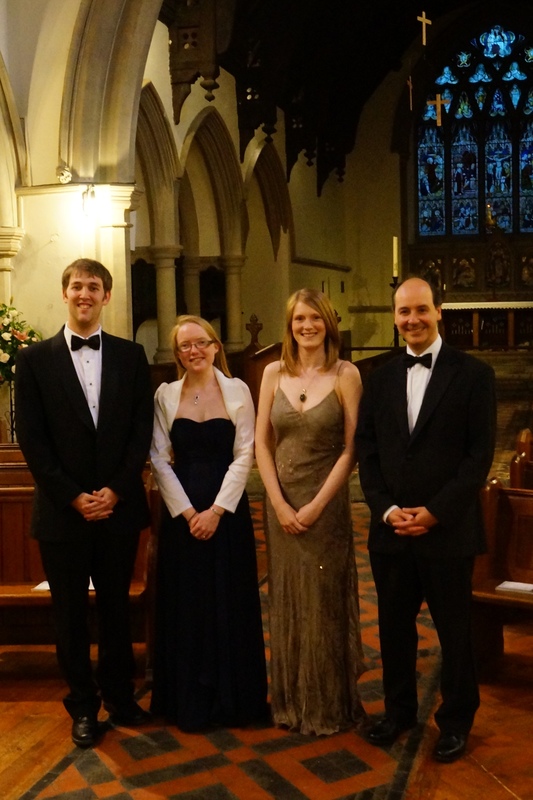 Victoria Thomas (soprano), Heather Thomas (alto), James Martin (tenor) and Paul Thomas (bass-baritone).